Out of breath and no energy? 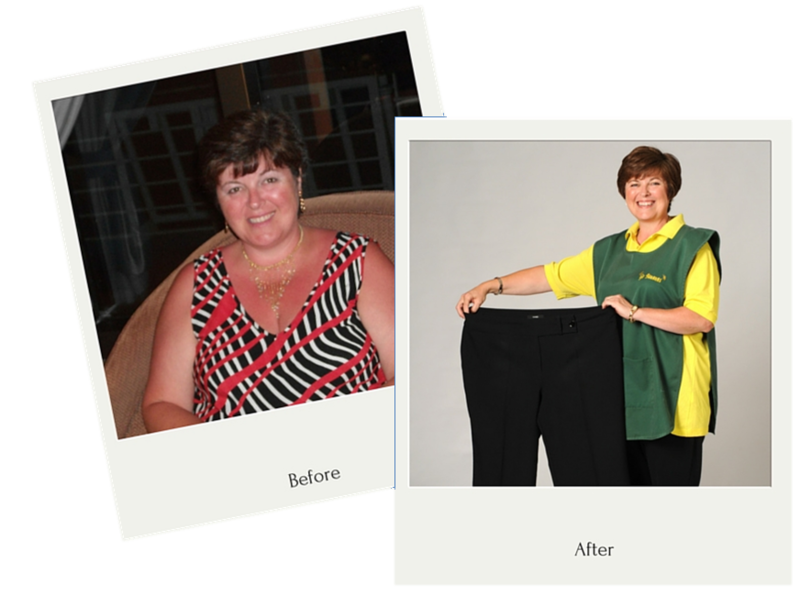 Hayley lost 3 stone and is full of vitality! Hayley lost 3 stone and is bouncing with energy. 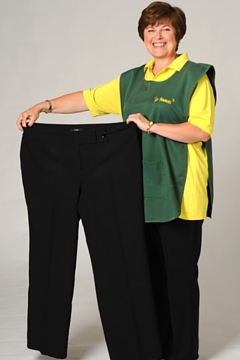 “I love working in a busy fruit and vegetable shop, but carrying that extra weight meant I found it more and more difficult. I often had to stop and catch my breath, and bending over to pick up the fruit on the lower shelves was not easy! I didn’t want to be “fat and 50”! But it was the day I got home exhausted after carrying my own and my neighbour’s shopping that I realised I had to do something about it. Here I was helping my elderly neighbour and she was almost fitter than me – I definitely didn’t want to be “fat and 50”! I had a go at the Slimtone Lifestyle Plan on my own over the summer period and quite quickly lost one stone. I was really pleased but it’s hard doing it on your own, so in November, I joined the Slimtone class in Maesteg and by the following April, I’d lost another 2 stone. Slimtone is all about normal, everyday food – you don’t have to buy anything special. The whole family can eat the same. In fact, my husband says we eat more now than we ever used to – his favourite is Marie’s recipe for ham tagliatelle. What I really love is the Slimtone soups. I make up a big saucepan-full and freeze it into individual portions. As you can imagine, I try different variations with all the vegetables from the shop, and it’s great to advise customers from personal knowledge. My favourite is the butternut squash and red pepper soup, it’s delicious. I only have 45 minutes for my lunch break and I always go home for lunch. I used to have a pasty, crisps and biscuits with a cup of tea, but that’s all changed now. I’ve got it down to a fine art – I pop a big bowl of my homemade soup into the microwave. Whilst I’m waiting for that to warm up, I make a giant bap with ham and salad. Then I sit down and enjoy my soup, sandwich and a Slimtone mousse, with a glass of water and lemon juice. I’m full of energy now and I feel so much better about myself. I’m up and down all the time and never out of breath, and those shopping bags are a doddle! In the shop, I always used to hide underneath lots of layers and bulky body warmers. Now I don’t have to. And it’s so nice when people stop me in the street and comment on how good I look, it really makes you feel great. Try Slimtone for yourself, I know you’ll love it.